There are some easy dietary changes you can make if you've been diagnosed with breast cancer — or just want to prevent it. We all know that it's hard to eat a perfect diet. And sometimes, our bodies need even more nutrients than our food can provide. So it's important to take the right supplements. Vitamin D, melatonin, and green tea extract are three supplements now associated with reduced cancer risk. In the July issue of Women's Health Letter, I introduced Elizabeth. She had a twin sister who developed breast cancer. 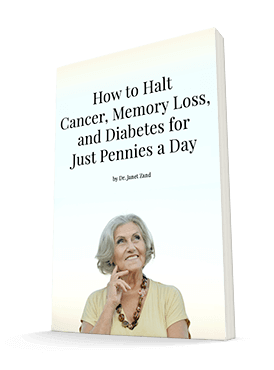 She took these supplements as part of her cancer-prevention strategy. And she's still cancer-free 10 years later. While these supplements are a vital part of any anti-cancer strategy, there's one supplement you want to be cautious about in your battle against this disease. That supplement is iron. If you have a genetic predisposition for breast cancer, it's important that your iron level does not get too high. Ideally, you want to keep your ferritin level under 80. Your doctor can help you measure this. Most premenopausal women don't have high iron levels due to their menstrual cycle. But postmenopausal women can store up iron much easier. Fortunately, there's an easy fix: Donating blood two to three times a year. Your doctor can help you know how often you need to do so. This is a great way to help others and help yourself. If, for some reason, you're not able to donate blood, your doctor can safely take blood without donating it. Finally, please remember that no matter how vigilant you are, it's still possible that you will develop breast cancer. You can dramatically reduce your chance of getting the disease, but you can't completely eliminate your risk. That's why continuing to have your breasts checked regularly is so important. The earlier cancer is found, the greater your chances of survival, so don't let your healthy lifestyle give you such a sense of security that you avoid screenings. 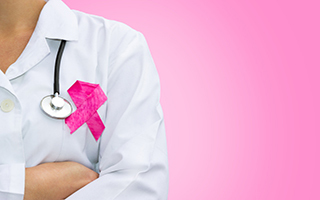 One in 8 women will be diagnosed with breast cancer — about 12% of the female population. The topic of breast cancer is large and often overwhelming, but it's not inevitable. Make wise lifestyle choices to protect your health and sleep easy.